The first of a new generation of crucial weather satellites launches this Saturday and will be visible along Florida's Space Coast, or watch online on NASA TV. 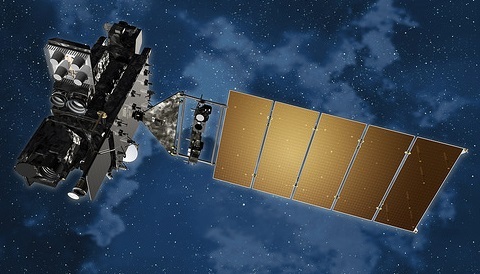 An artist's concept of GOES-R in space. On the Florida Space Coast this weekend? You'll have a good chance to catch a rocket launch at dusk on Saturday night, when an Atlas V rocket with GOES-R takes to space. Witnessing a rocket launch is an unforgettable experience. My wife and I lived in Florida for years, and can attest that launches at dawn or dusk are the very best, as the low angle sunlight illuminates the full length of the rocket's plume. Such plumes can be seen all along the Florida peninsula, sometimes prompting calls to authorities by surprised commuters. The United Launch Alliance rocket with the GOES-Rsatellite is scheduled to launch from Cape Canaveral Air Force Station at 5:42 p.m. Eastern Standard Time (EST) / 22:42 Universal Time (UT). This is only 20 minutes after local sunset, affording great views of the launch. GOES-R is the first of a new generation of weather satellites set to deliver enhanced and unprecedented capability for Earth and space weather forecasting over the Western Hemisphere. NASA and the National Oceanic and Atmospheric Administration's (NOAA) teamed up to create the new Geostationary Operational Environmental Series (GOES) satellites. In their geostationary orbits, these satellites will follow Earth's rotation such that they remain stationary in relation to a fixed point on Earth's surface. The new family of satellites will cover longitudes from 75°W to 137°W. The first satellite, GOES-R, is headed for longitude 89.5°W and is expected to operate for more than two decades until December 2036. The launch of GOES-P in 2009. After launch, GOES-R will be known as GOES-16. As the 16th satellite in the GOES series and the first of the fourth generation GOES satellites, GOES-R is expected to produce deluge of weather data. The satellite will monitor lightning in real time, providing four times better spatial resolution, three times better spectral information collection, and five times faster coverage than was previously possible. Its Advanced Baseline Imager, built by Harris Corporation, can also image in 16 channels across the infrared and visible part of the spectrum. The versatile capabilities of GOES-R.
On the sun-facing side, GOES-R is also equipped with a Solar Ultraviolet Imager (SUVI) and a package known as the Extreme Ultraviolet and X-ray Irradiance Sensors, set to monitor solar flare activity. Finally, an onboard magnetometer and Space Environment In-Situ Suite (SEISS) package will chronicle current radiation hazards to satellites and astronauts. 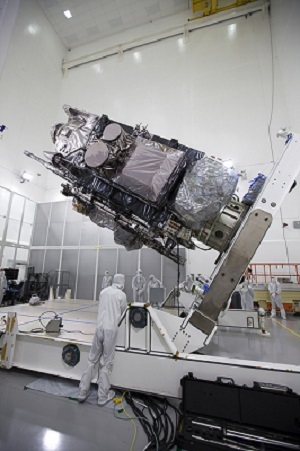 GOES-R is raised and prepared for lifting at the Astrotech facility in Titusville, Florida. NASA/Charles Babir. 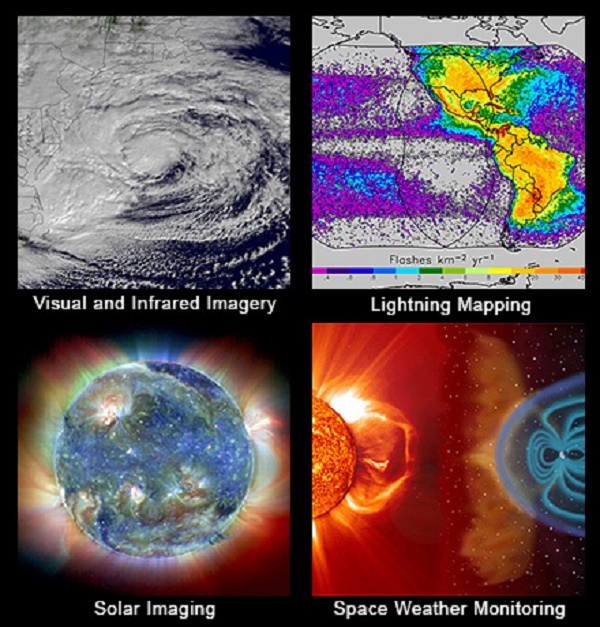 Data from the GOES series of satellites is available to the public on NOAA's website. Saturday night's launch has a one hour window, and the Sun will be four degrees below the horizon at the start of the launch window as seen from the Cape. The launch has been delayed once before, when Hurrican Matthew brought record winds to Cape Canaveral and the Kennedy Space Center on October 7th. The launch is targeting an azimuth of 100.7 degrees, meaning the rocket will travel off to the East-Southeast over the Atlantic Ocean as it heads toward an initial geostationary transfer orbit. Keep a set of binoculars handy, as solid rocket booster separation occurs at 90 seconds after launch and may well be visible if skies are clear. We've seen night launches from the Cape over in Tampa from 100 miles west... we once even had a launch coincide with a school star party! Twilight launches also typically generate glowing high-altitude noctilucent clouds, visible for up to an hour after launch. 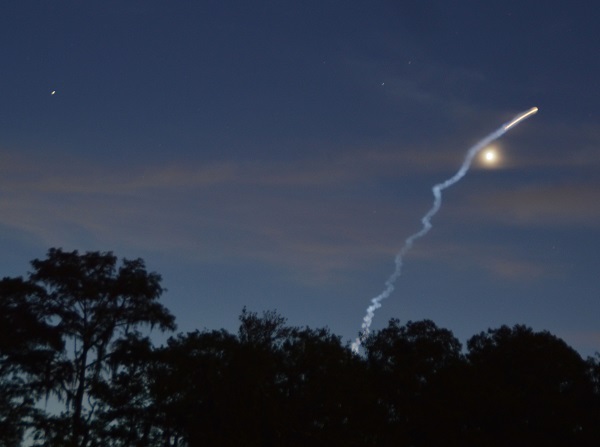 The twilight launch of MUOS-4 on September 2nd as seen from Hudson, Florida 100 miles to the west. Venus is the bright object below the rocket plume, and Mars is to the upper left. Saturday's launch should be visible from Miami to Jacksonville if skies are clear. Imaging a launch is as simple as setting a DSLR camera on a tripod and doing a time exposure shot at the appointed time. Spots along Cocoa Beach will have great views, and another favorite free site off-station to watch a launch is the top of the causeway bridge in Titusville. The projected launch trajectory for GOES-R.
NASA also invited social media users to a two-day event leading up to the launch in what's known as a NASASocial on November 18 and 19th. 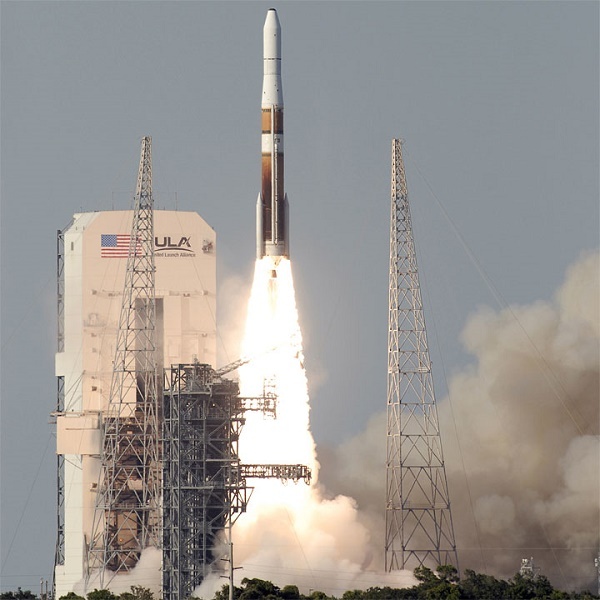 We've attended many NASASocials and can attest that they are a great way to see a launch up close and personal. NASA TV will carry a portion of the NASA Social live on Friday, November 18th, starting at 1:30 p.m. EST/18:30 UT. The current weather status for Saturday's launch is 90% favorable. The pre-launch news conference followed by the mission briefing for GOES-R will be carried live on NASA TV on Thursday, November 17th starts at 1:00 p.m. EST. GOES-R launch coverage starts at 4:45 p.m. EST on Saturday, November 19th.